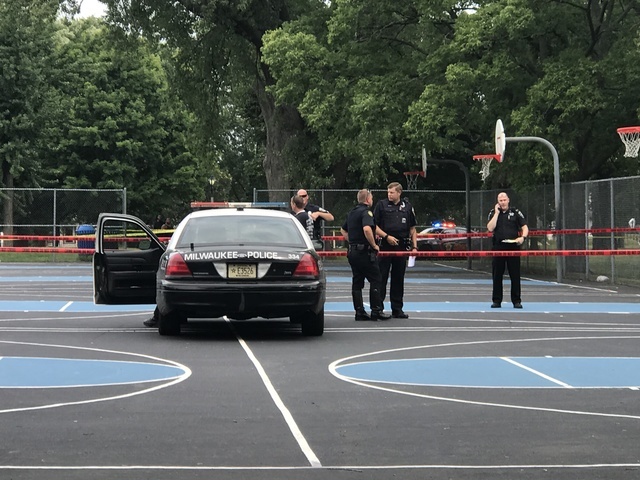 MILWAUKEE -- Milwaukee police say four young men are hurt after a shooting Saturday afternoon at Washington Park on Milwaukee's west side. 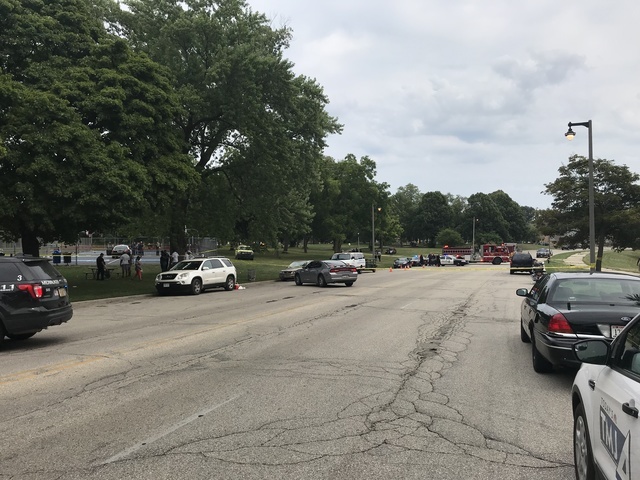 Police said three 18-year-olds and a 20-year-old suffered from gunshot wounds. Witnesses told TODAY'S TMJ4 the victims were playing basketball during an annual church picnic. Mary Griffin knew of two victims with serious injuries. She said one was shot in the neck, another in the leg. "The first shooting, it was a lot of bing, bang, bang," said witness Mary Griffin. 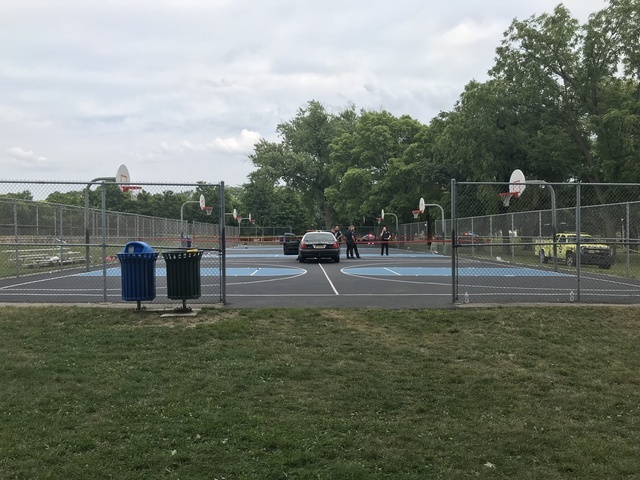 Griffin watched as the basketball court turned into a crime scene after a drive-by shooting. "A black car went up and there were some more shots fired," Griffin recalled. Griffin rushed over to the court to find two young men suffering from gunshot wounds. Both are members of her congregation. "I ran over to assist the one kid that was shot in the leg, tried to hold him down to assist the others in helping," she said. "The other child was shot in the neck." Both victims were taken to the hospital seriously hurt. Dozens of police officers swarmed the scene. Griffin and many others are trying to figure out what led up to the violence. "We didn't have no commotion, no nothing, it was just a good time," she said. Griffin said she's heartbroken for two families she knows well -- hoping their sons survive. "This is sad, it's hurtful. I'm a mother, I have children," she said. "I can't imagine what these mothers are feeling ... and the fathers. This stuff has got to stop ASAP. We're killing each other. When are you gonna stop?" Milwaukee police said all four victims are expected to survive. They are still trying to find a motive to the shooting. No word if the suspect or suspects are in custody.